Do you want to make some extra money for writing random articles, reviews or lists? We would love to pay you $1 – $20 per article (depending on topic, length, quality and current funding) and profit sharing if you join RIP gang. Just write a minimum 3 paragraphs for articles, 5 paragraphs and a 1 out of 5-star rating for reviews, and minimum 10 items with 2-5 sentences each for lists. YOU DO NOT NEED TO BE A PROFESSIONAL WRITER! Imperfections are welcome. 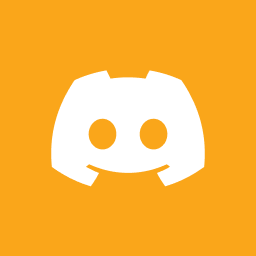 You will need to register an account on adhfeed.com and then join the discord server and PM lil rekt or just email submissions to info@adhfeed.com – It’s better to use discord and we don’t check the email that often, TBH. We also accept original media submissions and requests to review your content. When you’re in a bad neighborhood and 2 young men ask for assistance in a back alleyway you politely decline! Yeah, it was pretty obvious to me, it was in the west end of Atlanta by a Goodwill, they claimed a lady “needed a boost round back.” and just happened to be waiting around to flag the first clueless looking fat white guy down. I told those douche bags that I don’t got cable and walked into the most depressing Goodwill I’ve ever been in, and possibly dodging a bullet, but like for real I could have died. Don’t be the guy who is dumber than I am.